When it comes to selling its own electronics, Amazon ($NASDAQ:AMZN) has a massive advantage: being America's largest e-commerce platform. This means that it can heavily promote its own lineup of electronic devices, from Fire media streamers, to Kindle e-readers, to Echo speakers. And Amazon does just that: its own products are pushed heavily across all electronics subcategories at Amazon.com. Amazon has only been in the electronics game for just over a decade - it released the Kindle e-reader in 2007. Since then, it's launched the Kindle Fire tablet readers, Fire TV set-top box media streamers, voice-enabled Echo smart speakers, and a doomed Fire Phone smartphone (it was discontinued in 2015). So which of these are selling best - and worst? At least in April, the Fire Stick dominated Amazon's sales charts, sitting at rank #1 for 20 out of 31 days in the month. Echo Dot came in at a relatively close second place, with an average rank of 2.53 for 17 days of the month. What's particularly interesting is that both of these products sell for under $50. With that, here are the top-10 - see below for information about how we pulled the list. 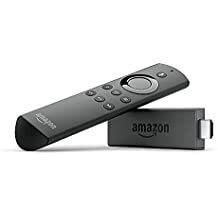 The Fire Stick - Amazon's best-selling device in April - is by far the comapny's runaway hit product. This simple device plugs into virtuallty any HDTV to stream content from Amazon Prime Video, Hulu, Netflix, HBO, Sling, and more. It also adds Alexa Voice support, alowing users to simple say "Play Game of Thrones" when they need their Targaryen fix. At just $39.99, there's little mystery why this product is Amazon's best seller. It's also Amazon's best-reviewed product with 169,590 consistently positive reviews. Amazon's Echo Dot came in second for April, 2018. 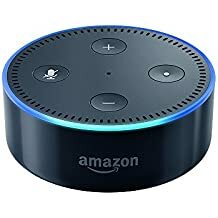 For just $49.99, this product gets customers into the Alexa speaker game, complete with music playback, smart home control, phone calls, texting, and access to thousands of Alexa skills including everything from voice-activate games to ordering an Uber to pick you up. We look at sales-rank data for all Amazon products across all categories on a daily basis. For this story, we filtered for Amazon's "Electronics" category and then grouped by product name and category rank to get a count of how many days each product appeared in Amazon's top-product sales ranks. We then looked at products that appeared in the top-selling ranks for at least half of the month. Thinknum subscribers can see the raw data here.